Am i eligible for IBPS PO exam after scoring 59% in 10th, 67% in 12th and 49% in graduation? sir , i have 59 % in 10th class, 67 % in 12th class and 49 % in graduation . Am i eligible for ibps exam for po ? Am i eligible for IBPS Clerk and PO exam after 10th with 52%, 12th with 46% and 56% in graduation? Can I be eligible for IBPS Clerk written exam after scoring 48% marks in 10th and 59.4% in 12th? Am i eligible for IBPS clerk written exam after scoring 59.12% in10th and 63.83% in 12th? do they consider 10th,12th and degree or only degree marks? Eligibility criteria for Clerical Common entrance exam? Am i eligible for it after securing 70% in 10th, 59% in 12th and 53% in graduation? Can i apply for IBPS Clerk exam after scoring 79.9% in 10th and 71% in 12th? Can i expect job from 19 Banks after scoring 70%(177 Marks) in IBPS Clerk with 75% in 10th and have got graduation degree from defense but not completed 12th? Am i eligible for IBPS for Clerk job after scoring 48% in 10th, 59.3% in 12th, 45% in B.Com and 45% in M.Com? Re: Am i eligible for IBPS PO exam after scoring 59% in 10th, 67% in 12th and 49% in graduation? You can apply for PO because IBPS has not define any percentage criteria for PO in Graduation. IBPS - Institue of Banking Personnel Selection. IBPS conduct the bank exam for po and clerk for 19 public sector of bank. Candidate who want to apply for po should be graduate in any stream from recognised university.Final year student of graduation also can apply. Age of General candidate should be 20 to 30 year. Age of OBC candidate should be 20 to 33 year. Age of SC/ST candidate should be 20 to 35 year. Yes,you are eligible to apply for that but its too late to apply. The reason is that last date to apply was 30.03.2012.So,you have missed the chances to apply.eligibility is to pass the graduation percentage doesn't matter. But the important thing is to complete graduation from a recognized university.Age minimum 20 years & maximum 30 years.So,apply when it comes again. sir , i have 48.6 % in 10th class, 38 % in 12th class and 50 % in graduation . Yes, you are eligible for Ibps po Exam. Because the educational qualification required to appear in ibps po exam is just a degree from a recognized university. Therefore you don't need to worry. You better start taking preparation to qualify the exam. Age limits: For General candidate 20_30 years. Age of OBC candidate should be 20 to 33 years. Age of SC/ST's candidate should be 20 to 35 years. yes you are eligible for I.B.P.S ( Institute of banking personnel selection )... Do appear in I.B.P.S and make a difference ...Opps the I.b.p.s recruitment exam is finished so you have to wait for the next recruitment .. I.B.P.S P.O bank recruitment comes in the month of march every year..
-- The candidate Must Complete graduation with 50% then you are eligible for the for Bank PO Examination. -- The Validity of score card is 1 years and with the help of score card you are eligible to give the 19 Banks of Exma and direct interview. now those days gone when 10 or 12th class candidates can apply for IBPS clerk exam. - For now IBPS is demanding minimum graduation for applying. - So on the basis of your graduation marks you can apply for IBPS clerk exam. - These will be minimum qualifying marks in all topics. - After exam limited numbers of candidates will be called for interview. - Age limit for open category: 18-28 years and others will be provided upper age relaxation per government rules. IBPS probationary officer (PO) Exam requires you need to have minimum graduation degree in any stream but from an recognised university. There is no minimum percentage required at any stage, so passing marks is enough to be eligibile. Since you have completed graduation, you will be eligible as per educational qualification. Your age must have to be in between 20 years to 30 years. A complete graduate degree in any subject form any approved university or its equivalent. Friend as per educational qualification required by the IBPS , you can apply for the CWE of PO. IBPS is not mention the marks percentage. EXAM PATTERN: The exam pattern consists of a written test and an interview.In the written test there are two papers objective and descriptive. There will be 5 sections and each section consists of 50 questions only.For every corect answer one mark will be awarded and for every wrong answer 0.25 mark will be deducted. Coming to the descriptive paper,there may be letter writing or essay writing. The descriptive test is based on English only. Yes You can apply for IBPS as There is no Percentage Criteria in IBPS.. So You can go for it.. And can apply for IBPS..
yes of course you can apply for ibps po exam as it doesn't mentioned any one of percentages. newspaper,internet are the other sources you can look for. Yeah you are eligible for IBPS(Institute of Banking Personal Selection) PO(Probationary Officer) exam. The candidate should be complete graduation from any recognised university. Percentage is not required for this exam. You can eligible for the IBPS PO exam. You can pass the graduation with 55% of marks. You have relaxation for the sc/st candidates. Your age limit should be between 20 to 30 years. 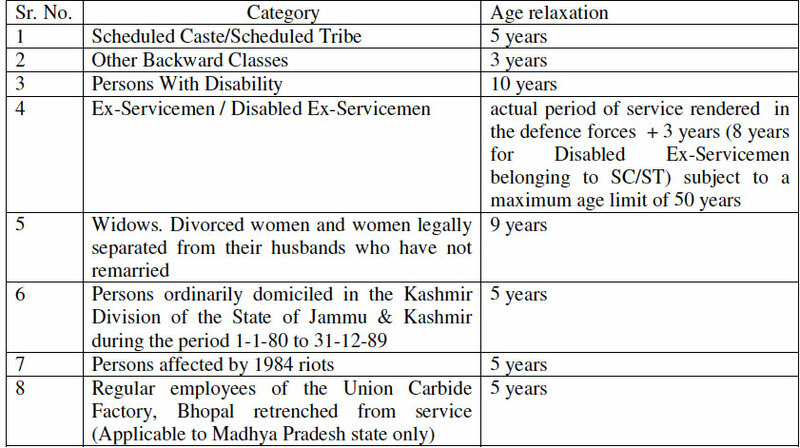 3 years age relaxation for obc. IBPS eligibility criteria? Can i give IBPS exam if i don't have any degree? Eligibility criteria for IBPS HR officer? Eligibility criteria for IBPS exam? What is the age limit and percentage criteria in graduation?